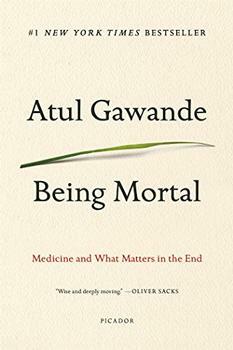 A gifted surgeon illuminates one of the most profound, awe-inspiring, and deeply affecting achievements of modern day medicine - the movement of organs between bodies - in this exceptional work of death and life. When Death Becomes Life is a thrilling look at how science advances on a grand scale to improve human lives. Mezrich examines more than one hundred years of remarkable medical breakthroughs, connecting this fascinating history with the inspiring and heartbreaking stories of his transplant patients. Combining gentle sensitivity with scientific clarity, Mezrich reflects on his calling as a doctor and introduces the modern pioneers who made transplantation a reality - maverick surgeons whose feats of imagination, bold vision, and daring risk taking generated techniques and practices that save millions of lives around the world. When Death Becomes Life also engages in fascinating ethical and philosophical debates: How much risk should a healthy person be allowed to take to save someone she loves? Should a patient suffering from alcoholism receive a healthy liver? What defines death, and what role did organ transplantation play in that definition? The human story behind the most exceptional medicine of our time, Mezrich's riveting book is a beautiful, poignant reminder that a life lost can also offer the hope of a new beginning. 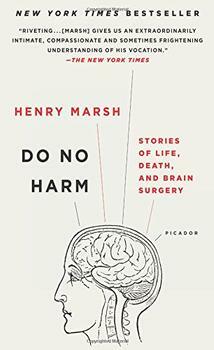 This wide-ranging book about the practice of transplanting organs is a privileged insider's look into an everyday miracle. Mezrich moves smoothly between the different strands of his narrative, with the historical material as accessible as the autobiographical. (Reviewed by Rebecca Foster). This monumental and enthralling history of one of modern medicine's most rousing triumphs is a definitive testament to that hope, and to the brave physicians and patients whose sacrifices made it possible. Success through perseverance is this book's main theme, and Mezrich does a commendable job sharing his death -to-life experiences in a vital field. Starred Review. Medical memoirs have become a significant genre over the past two decades, and this one ranks near the top, in a class that includes the best. Starred Review. A great read for fans of narrative nonfiction, medicine, and real-life suspense stories. With When Death Becomes Life, Joshua Mezrich has performed the perfect core biopsy of transplantation - a clear and compelling account of the grueling daily work, the spell-binding history and the unsettling ethical issues that haunt this miraculous lifesaving treatment. Mezrich's compassionate and honest voice, punctuated by a sharp and intelligent wit, render the enormous subject not just palatable but downright engrossing. A fascinating examination of our bodies' organs and the intimacy of their placement and replacement. Joshua Mezrich weaves in the history, ethics, and technical grit of how doctors and patients navigate this miraculous second chance at life. With When Death Becomes Life, Mezrich succeeds in giving the reader a glimpse of how a cacophony of human experience can become a harmonious triumph of medical science. Dr. Mezrich clearly loves the field he has chosen and wants us, his readers, to love it too. Although he has "demystified" the complicated issues, he has left us with the wonderment and incredible humanity that shine through in the transplant field, and crafted an incredibly down-to-earth read through his own journey of doubts and triumphs.